I’ll admit—I have a slight watermelon obsession. My husband can attest to this. It is a rare occasion when a watermelon lasts more than a couple days at our house. Nothing says summer like a juicy, sweet, delicious watermelon melting in your mouth. However, there have been times when I’ve picked a watermelon that is slightly less than desirable. I always feel dejected when this happens. So I decided to do some research on how to pick the perfect watermelon and avoid the post purchase disappointment. 1. 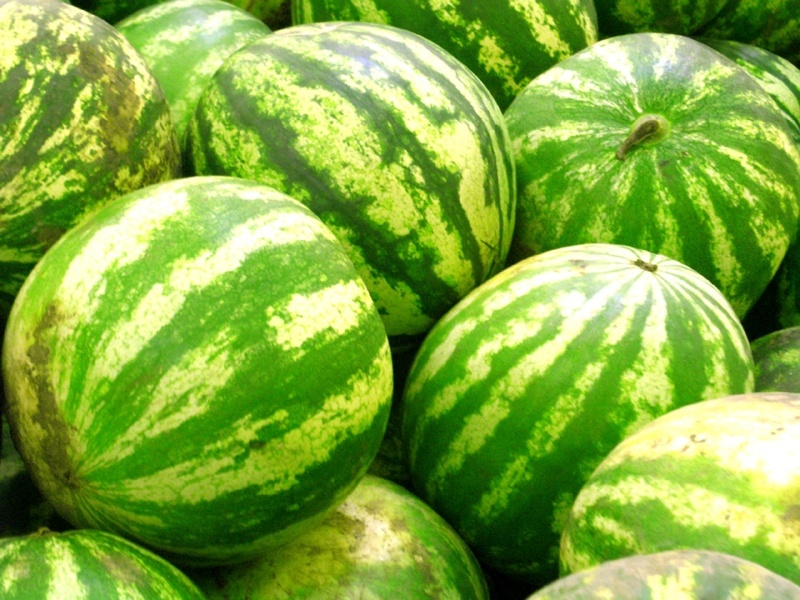 Choose a watermelon that feels heavy for its size. 2. Look for a vibrant medium-green color and an A-symmetrical shape. 3. There should be a creamy yellow spot on the bottom, not white. 4. The green stripes should be broken and disconnected in places. I am not sure exactly why these are good guidelines, but they are. I’ve been following them and have yet to be disappointed with my watermelon selection. It seems to be a bit more effective than my previous watermelon thumping method. So go ahead and give it a try. I wish you the best of luck in all your future watermelon hunting adventures.